Putting Some Teeth in the Tribe: What Do We Need To Be Able To Do? Alright – a new topic (here anyway) and a lot to write about. Now we’re going to start digging into the process of actually building usable fighting skills and knowledge among your tribe members. The next few entries are going to attempt to impart upon you some basic realities you’ll be dealing with along with some nice simple tips to use when establishing your security force. To set the record straight right now I’m going to be referring to what I call a “Rural Defense Force” (RDF) throughout this series. That is simply the defensive element of your tribe. The folks that actually defend the area. This entry is going to deal with defining operational capabilities and using a simple training methodology. Operational capabilities are the tasks that you need/want to be able to execute. I.e. do you want to establish roadblocks, conduct ambushes, raids, deliberate defenses, etc? You need to sit down and conceptualize what tasks your RDF will have to accomplish. This is how you focus your training as your efforts need to be geared towards supporting these capabilities. For the .mil guys out there this is what we used to refer to as a developing a Mission Essential Task List (METL) along with associated drills but we’re going to go through this without the luxury of having higher echelon tasks and directives to work this out. Basically we’re going to build a list of tactical tasks that we identify are critical to the defense of our tribal area. The difference here is normally a METL goes no lower than a Company but unless you’re really fortunate chances are you won’t have the kind of strength. So I’m going to make another convention at this point – when I refer to METL what I am actually using are more akin to ARTEP battle drills for a Platoon and Squad sized element. Training methodology is simply the way we’re going to train. Before you begin this process it’s a pretty good idea to go through a throughout terrain and threat analysis. As an example if the threat is known to not and will not likely have armored vehicles then establish an anti-armor ambush would be low on your task list. If you need some help identifying tasks this is where the Army field manuals can come into play. Take a look at ARTEP 7-8-Drill which lists tasks for the platoon and squad sized elements. The lists in that manual should help you identify the kind of tasks you want to be able to accomplish. Are we going to use the info from that manual verbatim? No we’re not. But for now use it to help identify tasks. One thing about tasks. Right off the bat you need to understand that there are individual tasks and “collective” tasks. Individual tasks are the tasks that folks do as an individual – i.e. applying a tourniquet is an individual task. “Collective tasks” are tasks that are executed as a collective element be it a buddy team, fire team, squad, or platoon. Individual tasks usually support collective tasks – i.e. an individual might acquire and engage targets with their rifle while conducting team fire and maneuver. For now we’re going to focus on collective type tasks. Dose of reality time: There are some tasks which will probably be worthless and some you won’t have the resources to accomplish. An example of a worthless tasks for your purpose might be “Change formation (mounted)”. That task is designed for forces that are mounted in vehicles and have the terrain to actually change their physical association during travel. Granted if you live in the desert it might be worthwhile but that’s just an example. A task you might not have the resources to execute would be “Knock out bunkers”. Now does that mean we ignore them? Not necessarily. The possibility to adapt and develop techniques to deal with those tasks using our existing capabilities might just be worthwhile. So we’ve gone through our analysis, familiarized ourselves with tasks, and for Shits n’ Giggles we’ve come up with this list of critical tasks. To keep it simple we’ll focus on one task for right now: Conducting an ambush. Sounds simple right? Welp there are different categories of ambushes (hasty, deliberate) and different types (point, area, L shaped, etc.). Don’t get lost in the weeds at this point instead focus on the general task itself and identify the collective and individual skills required to support this task. 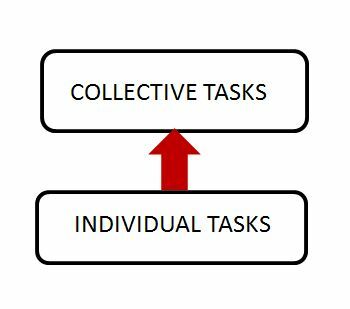 The graphic below illustrates how those individual tasks support the collective tasks. Sound training methodology dictates we need to be proficient in the individual tasks before we attempt collective tasks otherwise we’ll not only waste time having to teach individual tasks while trying to focus on the collective tasks but our execution of the collective tasks will be sloppy at best. That equates to a waste of training time and energy. These individual skills are once again supported by such tasks as maintaining your rifle, zeroing your rifle, etc. . The key thing here I want to impart upon you is that we need to identify our collective task requirements and then work downward to identify the critical tasks and skills needed to execute those collective tasks. By focusing on the individual tasks prior to training the collective tasks we avoid unnecessary training frustrators and save time and effort. This entry was posted in RDF. Bookmark the permalink. 10 Responses to Putting Some Teeth in the Tribe: What Do We Need To Be Able To Do? Good post. Glad to see you back. 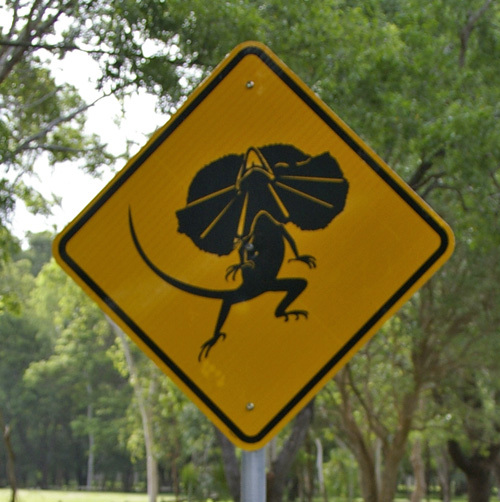 Oh yes, important stuff, thank you Lizard Farmer! Hope your back for a while, you and your lessons have been missed. Glad your back, I miss reading the new stuff although I still keep rereading the olderstuff.